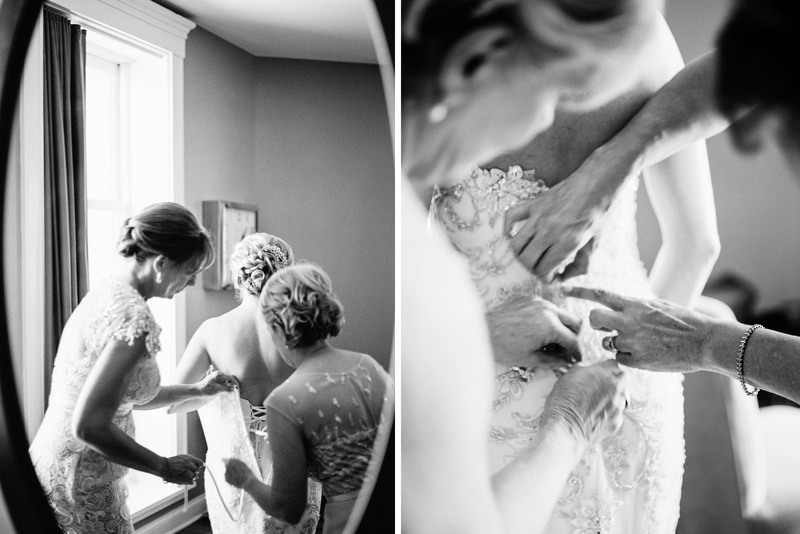 Getting ready is one of my absolute favorite parts of wedding day. It is a time of the day filled with emotion and energy– laughter, tears, and quiet moments shared with the women most important in your life. It’s also a time of great beauty– your dress, shoes, rings & jewelry, other accessories, your invitations, and then portraits of you all dressed and ready to see the love of your life. As I mention in my blog post about an Ideal Wedding Timeline, a beautiful getting ready takes time and a little bit of planning and thought. In my post you will see that I recommend about 90 minutes for just the bride getting ready. When I first arrive I will photograph all of your details in gorgeous natural light and then I will start photographing candids of you and your girlfriends before you put your wedding dress on. I work hard to create beautiful still life images of your details and your getting ready in general — and if we work together it can be even better! Have your dress, shoes, invitations & paper goods, all of your rings- yours and his, jewelry, accessories, bridesmaid gifts, etc. all in one spot so I can start right away and not bug you to find everything for me. If your florist or wedding planner has extra floral elements or ribbon, I would love to incorporate those so your details look flawless. You have envisioned your perfect wedding day for some time– whether that has been since you were 8 years old or only since you have been engaged. Your getting ready location and photos should not be overlooked. Think about the overall look and feel you want. Maybe that means getting ready in your childhood home with sentimental value, or renting out an old home on Air B&B to have lots of room, or maybe a posh hotel downtown. My advice to you, the more natural light the better. 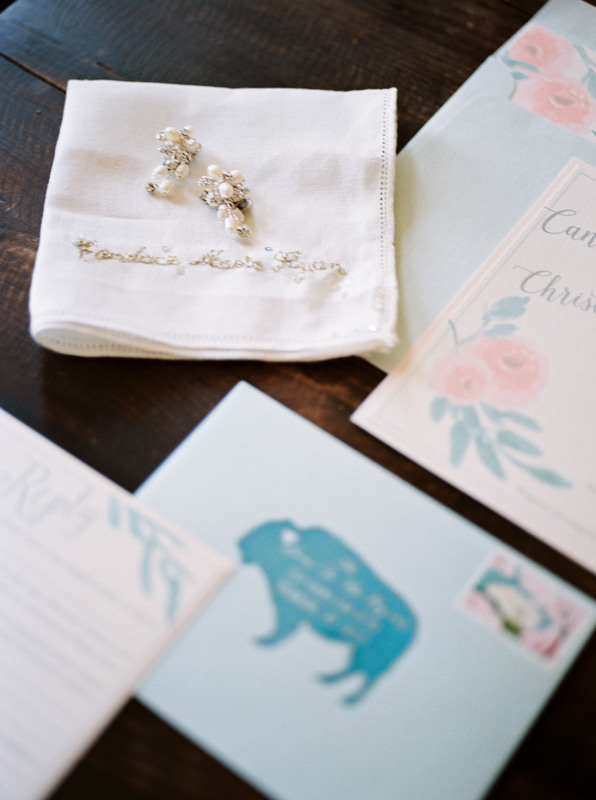 Also, think about who you will be with– just mom, or your 12 bridesmaids? You will want ample room for everyone to get ready and not be crammed. KEEP IT PRETTY & CLEAN. I know, I know… lots of girls… lots of makeup & hair styling items… bridesmaid dresses and overnight bags… I politely ask that your girls tidy up their belongings as much as possible before I arrive. That way, your getting ready space is a clean space with lots of room for creativity. Do you really want duffle bags on the bed when you get in your wedding dress? Are you and your girls wearing cute robes or adorable pj sets to get ready in? AWESOME! Let’s grab some photos of you all together when I first arrive, and then they can change into their dresses. That way, if they are helping you get dressed, they look lovely as well! You will always be your dad’s little girl. He has dreamed of this day just as much as you have and the first time he sees you is so full of emotion. First looks with dad typically happen in your getting ready location so then he can walk you to your first look with your groom if you are doing one, or immediately down the aisle if you are not. You have a few options here. We can build time into your schedule so I can visit the guys for getting ready before yours…You can add a second shooter to your wedding collection so we can be in two places at once… Or I can find a time during your portraits to take close up-detail photos of the handsome groom tying his tie, lacing his shoes, cufflinks, boutonniere, and more. Lots of ways to incorporate him in this part of your day as well! 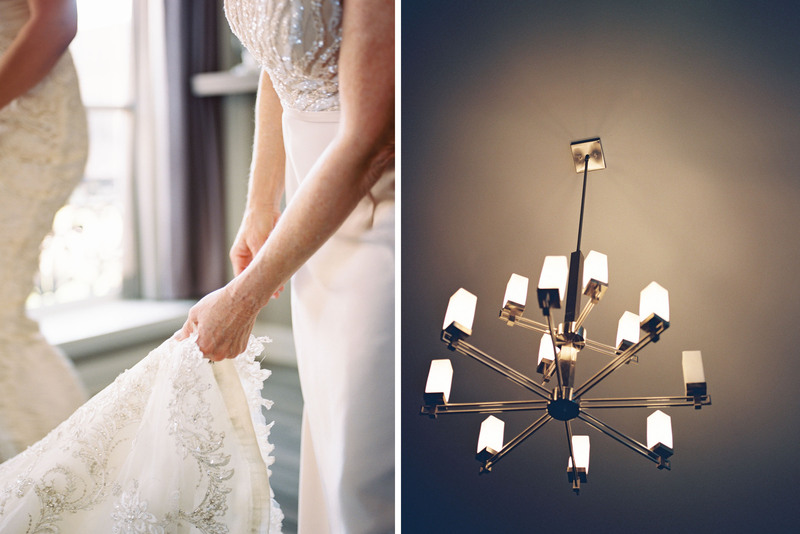 Candie got ready in a breathtaking suite at the Hotel Lafayette in Buffalo. The room has so much room for a large bridal party with a large dining table, living room, and bedroom with bath attached. Also, the room is lined with windows– hello photographer heaven! Candie’s mother and soon-to-be mother-in-law helped her into her dress. After her first look with dad, they went outside where a Rolls Royce was waiting for their special ride to the ceremony. Leah got ready in her childhood home- a large, beautiful farmhouse. 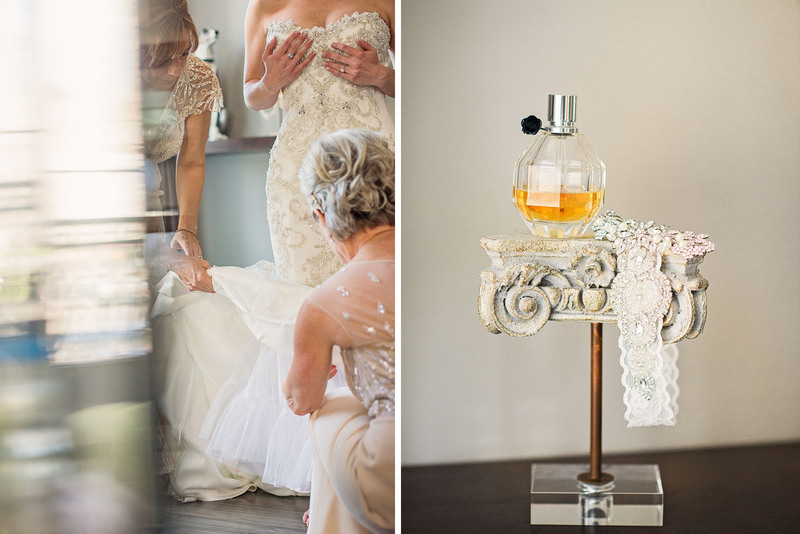 Her mom and older sister, Paige, helped her into her gorgeous lace wedding dress surrounded by cabinets filled with china passed down from generations past. 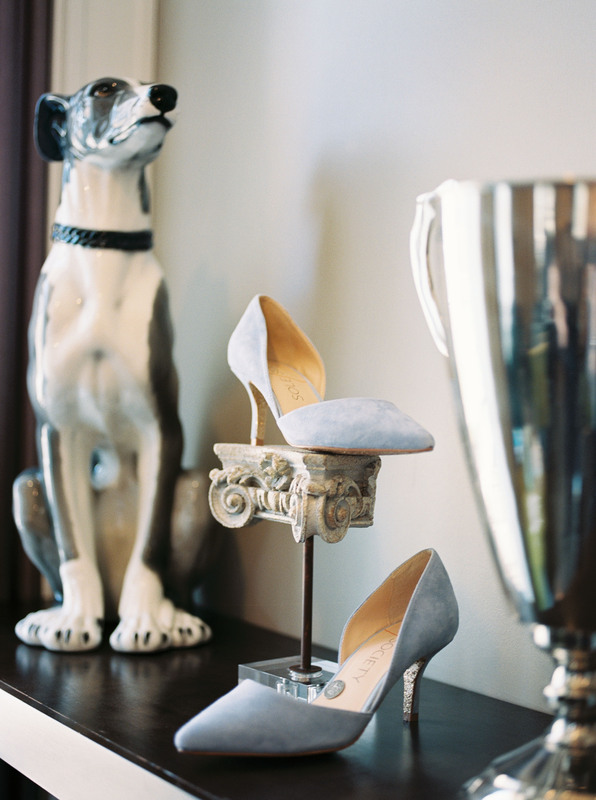 Do you want to incorporate a mini-boudoir session before stepping into your gown? Ava did just that. 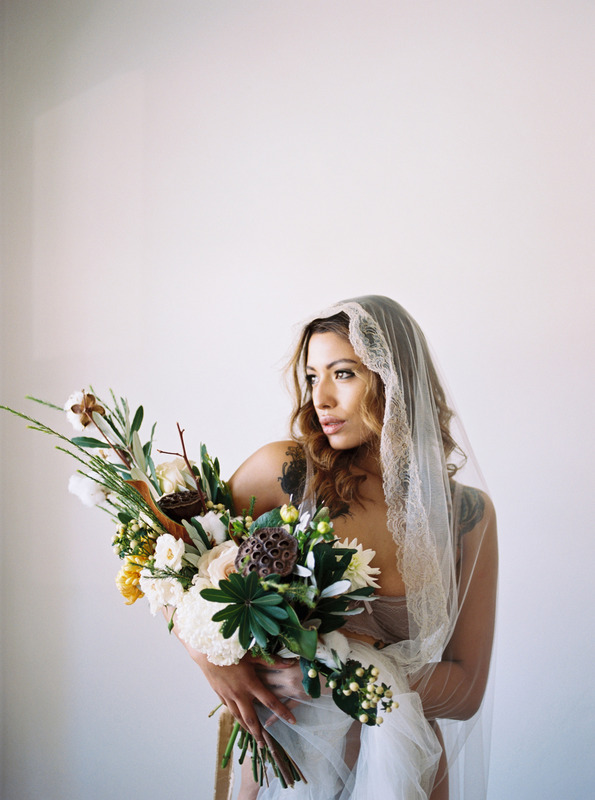 We photographed a romantic and sensual boudoir session in the house they were renting for getting ready– complete with her veil and bouquet! Rachelle got ready at The Inn on the Lake in Canandaigua before their reception at the same location. I tend to shoot pretty close up in hotel rooms because they are small and that way bridesmaid clutter is not the focus. I also stage everything closest to the large windows offering natural light. Cara got ready with her mom and all her bridesmaids in her childhood home in Rochester, NY. She had her hair and makeup styled in her parents’ kitchen and then got dressed in her mom & dad’s bedroom. Afterwards, she came downstairs for a first look with her bridesmaids and then outside for a first look with her dad. 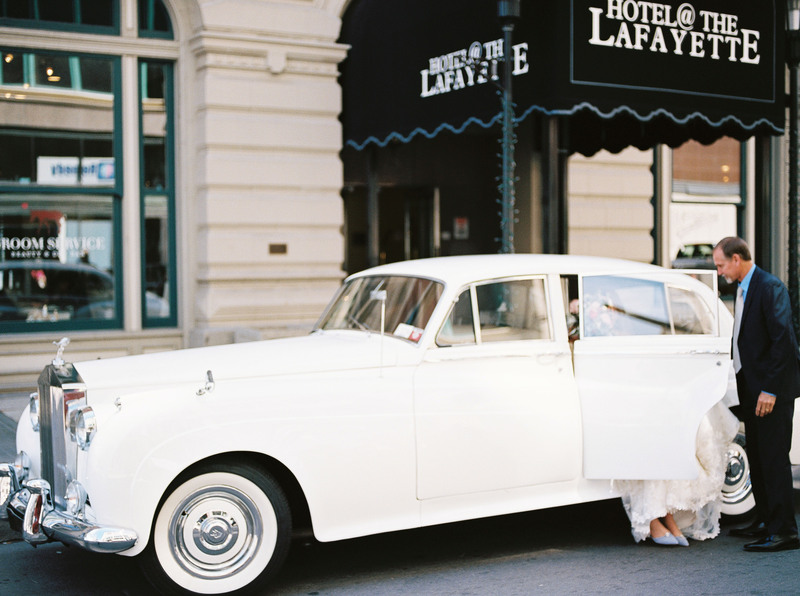 Cara’s dad led her to a surprise ride to the ceremony in a car he restored just for her wedding day. 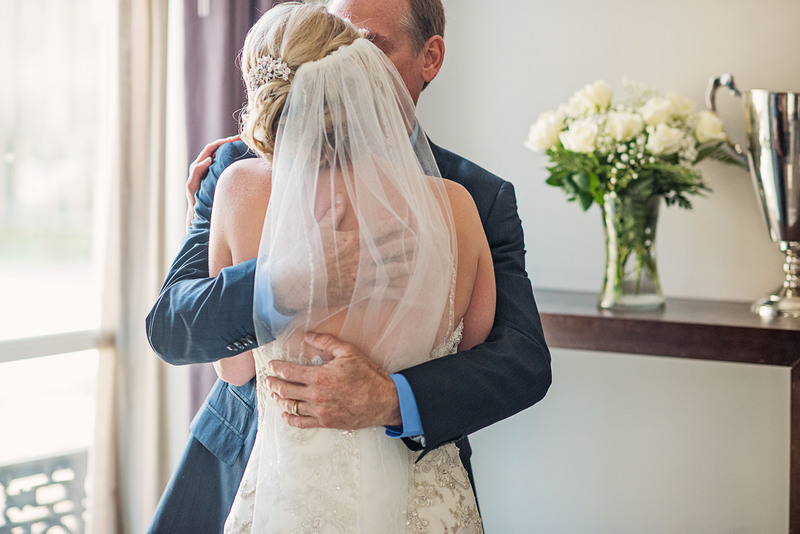 Alyssa’s first look with her dad is absolutely one of my favorites!